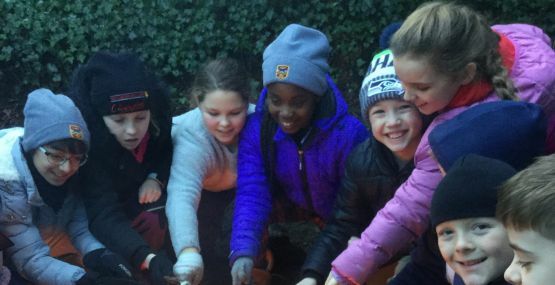 Another successful term of woodland skills has flown by at Highclare Preparatory School. 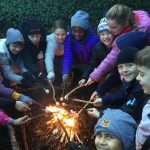 Over the Spring Term we have enjoyed the outdoors in a variety of ways, here are just a few highlights! 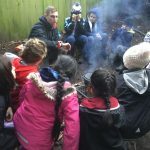 Collaborative learning with Reception and J4 was extremely successful as both classes worked together to thread and create a hanging leaf line. 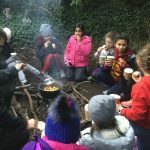 Reception and J4 also learnt how to tie a timber hitch and learnt all about square lashing to create a fabulous picture frame from sticks and string. 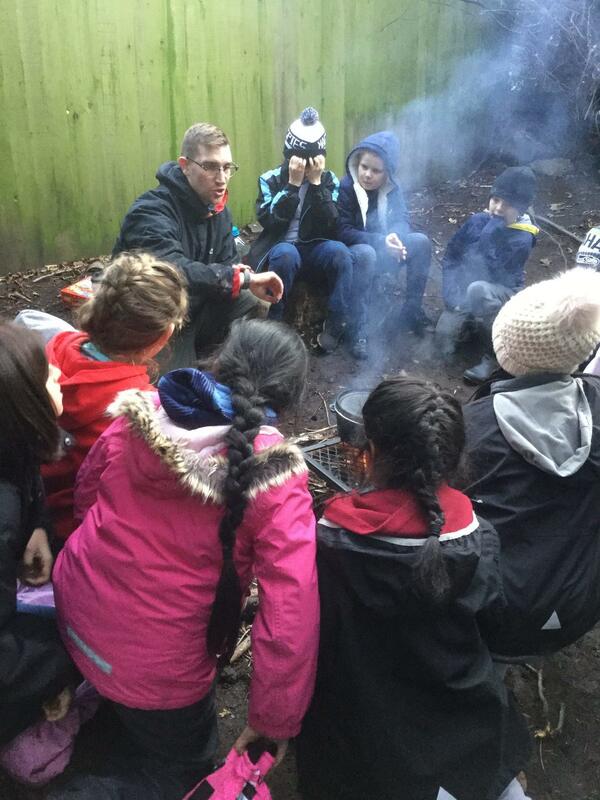 Both the leaf lines and picture frames can be seen hung up in both woodland skills areas. 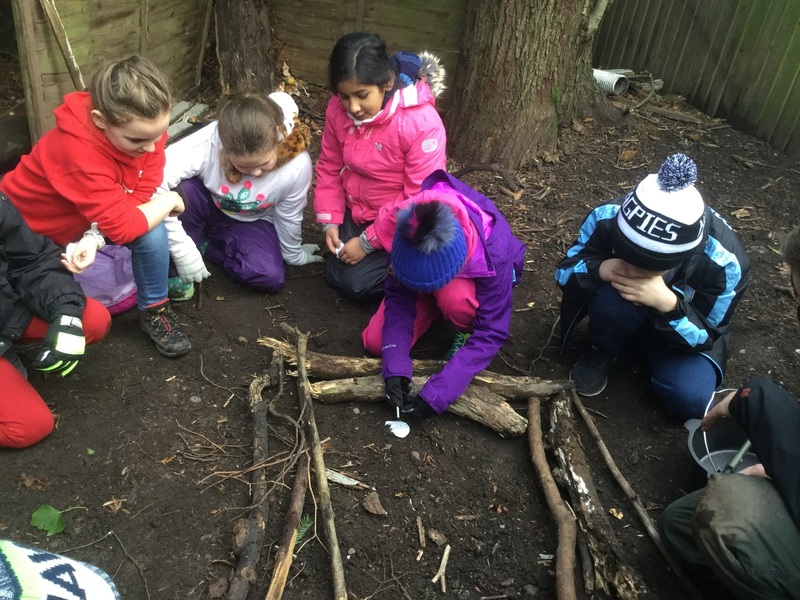 Children have also learnt all about natural artist “Andy Goldsworthy” as we tried to mimic his work and create our own natural artwork using an array of leaves, sticks and stones. 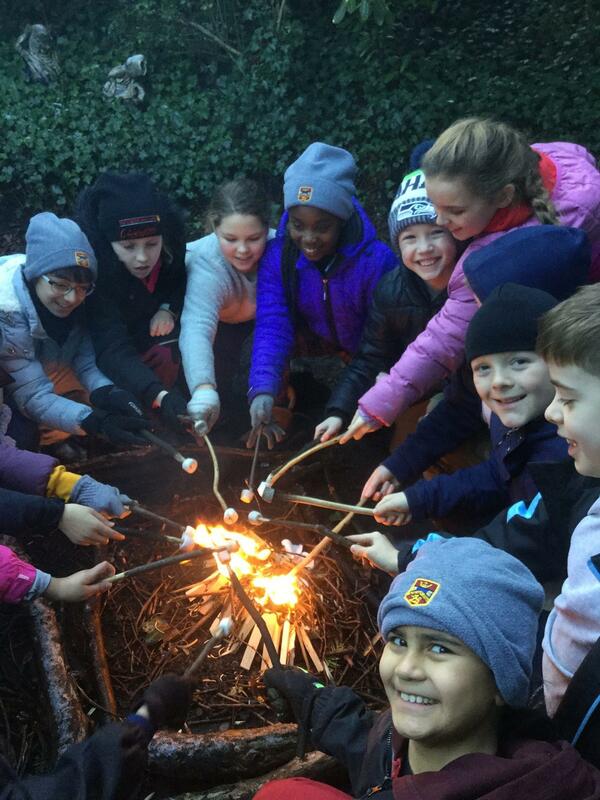 J5 learnt how to whittle using a sheath knife, they then used these whittling skills to cut sticks and twigs for the campfire. 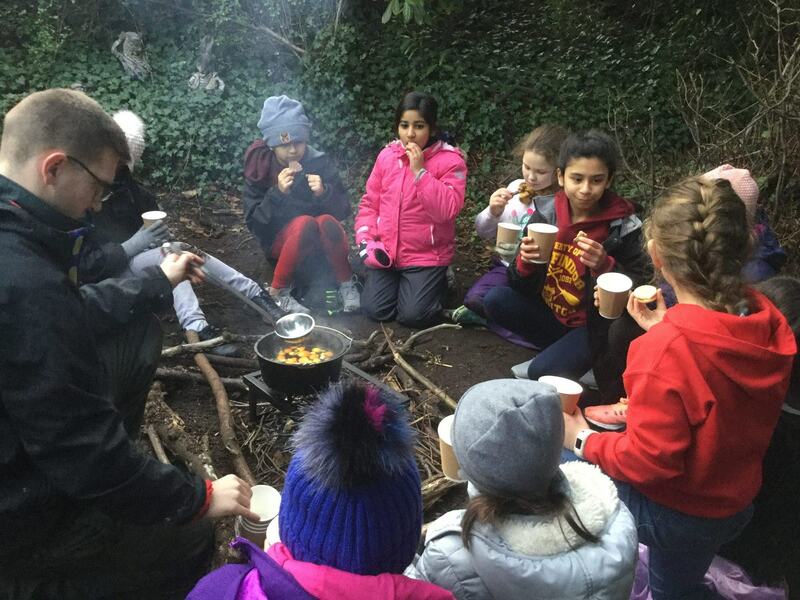 J5 also made “homemade mulled apple juice” over the campfire. 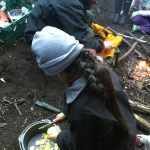 Using the sheath knife the children peeled lemon and orange zest. 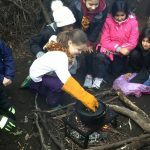 Then the children stirred apple juice and sugar into the Dutch oven. 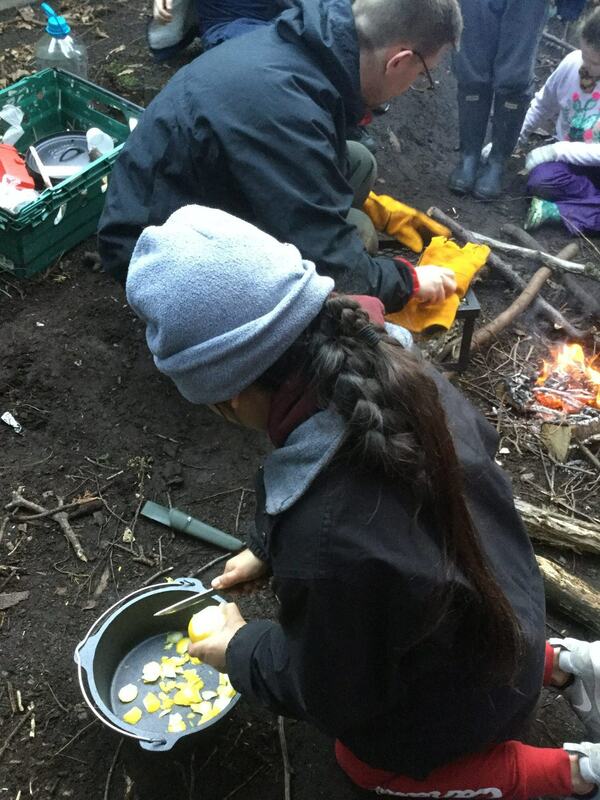 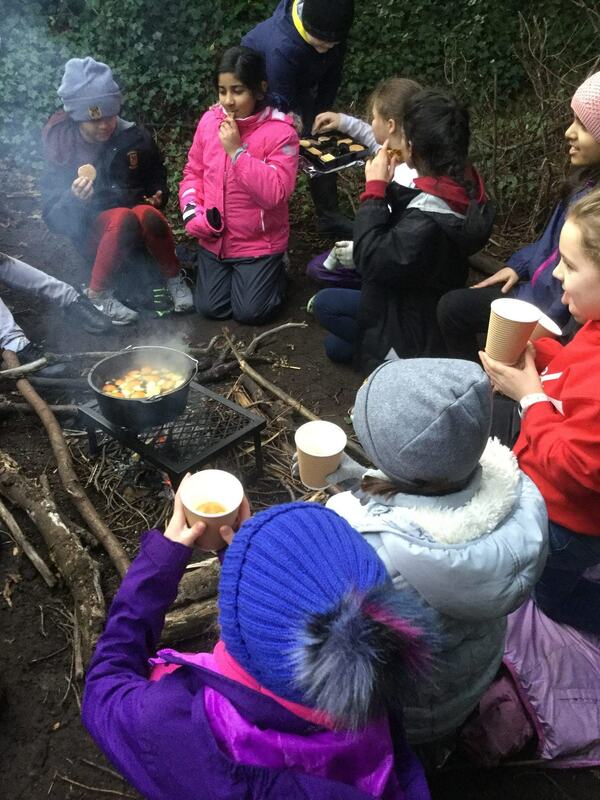 The mulled apple juice was then heated up over the campfire… very yummy indeed! 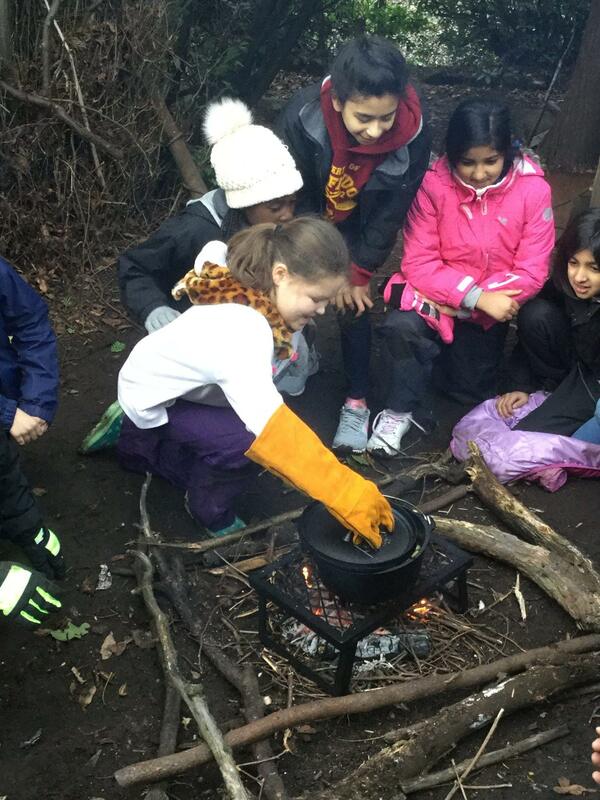 Towards the end of this term J3 have utilised their woodland skills sessions to enhance their classroom learning. 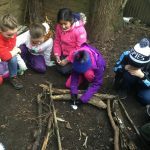 During woodland skills the children created their very own natural artwork in the style of Kandinsky, an artist they are exploring in their art lessons and, using using several different types of knots, they created their very own natural frames using sticks and string supporting their topic of “Frames” in design and technology. 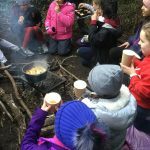 A highlight for all was popping popcorn kernels over the campfire, this inspired some fabulous poetry writing using all of our senses.